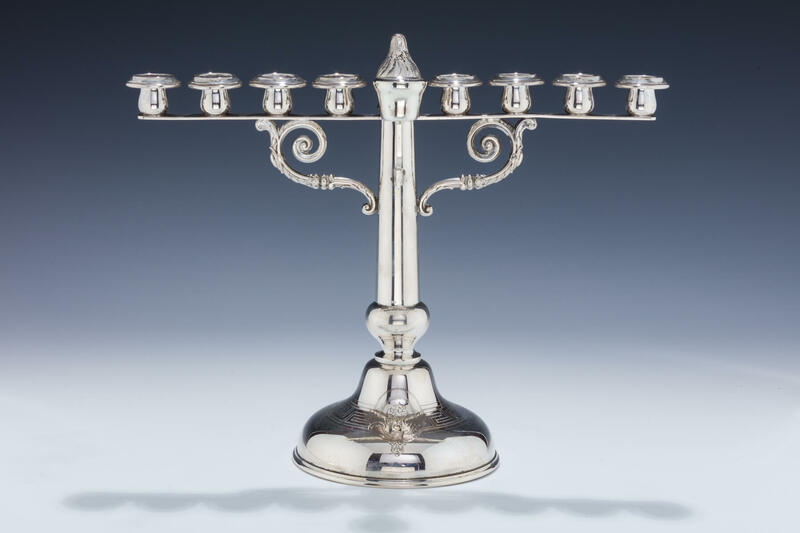 A SILVER HANUKKAH MENORAH. Germany, c. 1880. On round base with bright cut engine turned design and monogram. Upper portion with swirling arms and flame finial. Servant lamp later. 11.7” wide.